Definition at line 2134 of file CCopasiXMLParser.h. Definition at line 2141 of file CCopasiXMLParser.h. 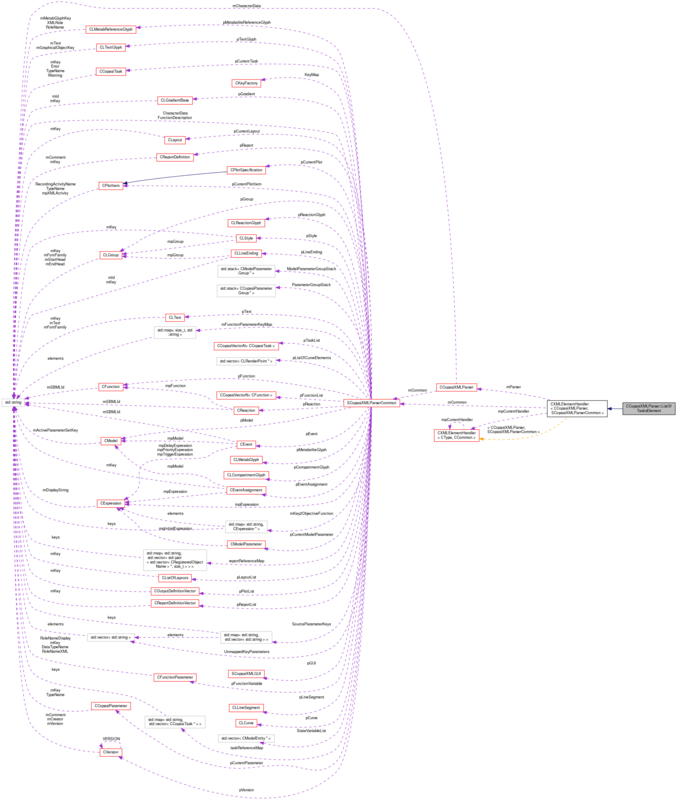 Definition at line 8376 of file CCopasiXMLParser.cpp. Definition at line 8381 of file CCopasiXMLParser.cpp. Definition at line 8433 of file CCopasiXMLParser.cpp. References CCopasiVectorN< CType >::add(), CCopasiMessage::EXCEPTION, CCopasiXMLParser::mCommon, MCXML, CExpatTemplate< CExpat >::mParser, SCopasiXMLParserCommon::pCurrentTask, SCopasiXMLParserCommon::pTaskList, START_ELEMENT, and UNKNOWN_ELEMENT. Definition at line 8386 of file CCopasiXMLParser.cpp. 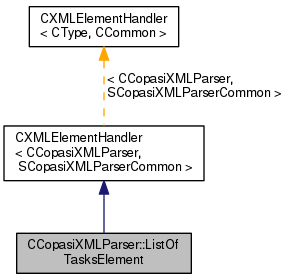 References CCopasiMessage::EXCEPTION, CCopasiXMLParser::mCommon, MCXML, CExpatTemplate< CExpat >::mParser, SCopasiXMLParserCommon::pTaskList, and UNKNOWN_ELEMENT.